Spring 2012 date sends Ripleys across web. 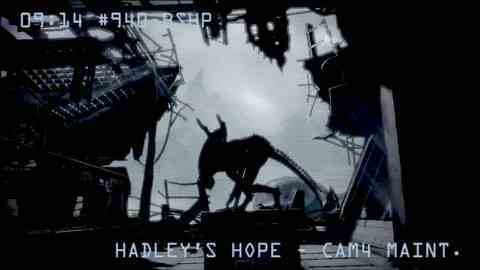 SEGA has announced a new Aliens: Colonial Marines release date of spring 2012. This is the Gearbox-developed squad shooter that was announced in 2006. Long-feared dead, Gearbox leader Randy Pitchford provided hope for the project last year. And now it's back on. Cue new trailer for E3. Colonial Marines will be made for PC, PS3 and Xbox 360. You'll lead a bunch of United States Colonial Marines who board the USS Sulaco craft to find out what happened to the crew. They'll stalk dark corridors and discover that actually there are nasty aliens on board that will kill you. You'll uncover locations from the film and weapons from the film and a fresh perspective on the whole gory franchise made famous by Sigourney Weaver in her pants. "Aliens: Colonial Marines, designed as an interactive successor to the landmark films from Twentieth Century Fox, is a dream project about which our studio is deeply committed and passionate," commented Pitchford. Scott Pilgrim vs. The World also removed from digital distribution.